To be honest, I am not much of a smartphone aficionado. I am content with my Blackberry-esque Huawei and its QWERTY keyboard. I do anticipate the day when more user-friendly phones hit the market, namely phones with buttons, but until things like Tactus come to be widely used and loved, I’ve got both eyes on the growing progress of these prototypes. 1. 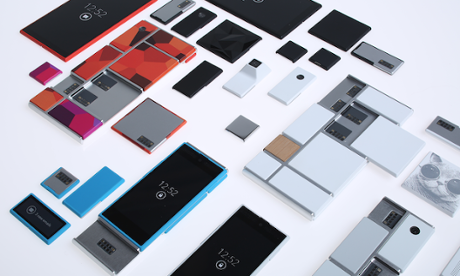 Google’s Project Ara – Spawned by the call-to-action from Phonebloks, which introduced the promising concept of modularity for smartphones, the focus of growing electronic consumption-and waste. Phoneblok’s first video went viral with over 1,000,000 views within its first 24 hours! Google stepped up to the plate to help end phone obsolesce and reduce waste caused by damaged (usually only parts of) cell phones, spawning Project Ara. They began building on the concept back in 2013 and say it should be ready for launch in 2015! 2. 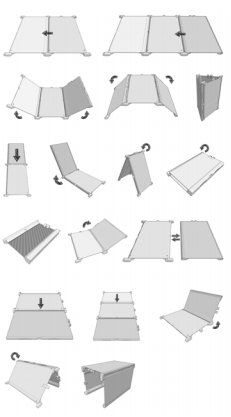 PaperFold – The screen-sharing, shapeable, ninja of a device that honors the ability to reconfigure its displays is in its prototype stages now, aiming to emulate a paper-like environment-namely its inky appearance and its flexible, foldable, qualities. The whitepaper dictates that “Each tile contains an IMU Board and a linear Hall Effect Sensor tethered to an Arduino. Magnets embedded in the bezel of the 3D printed substrate allow PaperFold panels to be arbitrarily combined in a variety of configurations.” You can read the white-paper here in its entirety. Using electrophoretics, the display will be easy on the eyes. C# will anticipate changes in orientation and will receive the touch input integrated into each tile, making it scalable as each screen has the ability to work independent of one another. 3. 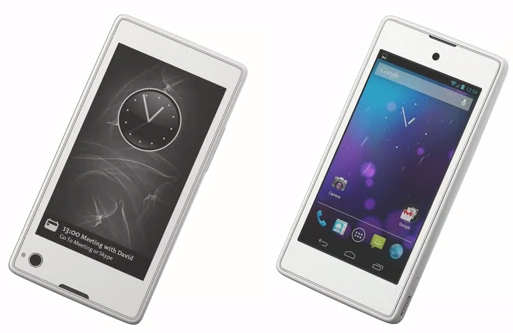 The Yota Phone – Available for purchase now, The Yota Phone boasts a dual-screen interface, one side is an electronic paper screen and the other is an LCD screen. The electronic paper screen is always on, allowing for the user to view and save information after the battery dies. If you’ve ever tried to dodge a scheduled meeting or a phone call, or have you lamented over missing them? The Yota phone will keep your notifications on its paper screen queue until you remove them yourself. You can also personalize it to display your favorite images and quotes! The Yota phone seeks to interact with you by letting you know when its battery is dying, annotating your text message notifications with emoticons, asking you to smile for your photos, and bringing RSS feeds right to you! All of these concepts take mobile phones to the next level through their motivations toward innovation. Some people think that smartphones will take over laptops and maybe even desktops in the future-while I don’t believe that, I do believe that these phones will help to segue us into the future of seamless integration of smartphones as more than communicating devices in our daily lives.